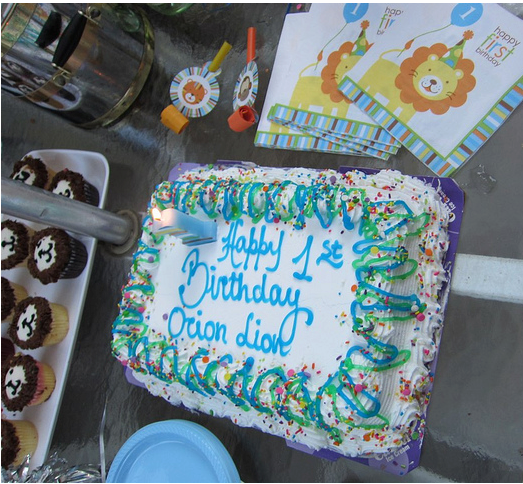 To celebrate my little Leo's first birthday, I went with a lion theme. I found this awesome lion cupcake design from Coco Cupcakes. I had Tonnie's Minis in Harlem execute them in buttercream with the multi-colored ears and chocolate manes of course! They were definitely a hit, even if a little beat up from the ride to the Sag Harbor. I assume the design from Coco Cupcakes uses fondant so the design looks much cleaner, but I prefer the taste of buttercream! It's no secret that I'm nuts about toffee especially when coupled with chocolate. I'm equally inspired by a great family recipe: "It's my husband's," says Lisa Schalk whose been in the biz of making heirloom toffee with hubby Jim for the past 6 years. I was especially lured by the white chocolate macadamia which Lisa describes as "addictive." I'm gonna have to agree. The classic toffee is perfectly crunchy, buttery and smooth, packed with generous chunks of macadamia, then layered between delicious white chocolate. It sticks to your teeth. Grab a box at Toffee To Go. These cute little ‘printable chocolates’ by Jamie Wieck can help you seal the deal by impressing the lucky recipient with originality and wit. 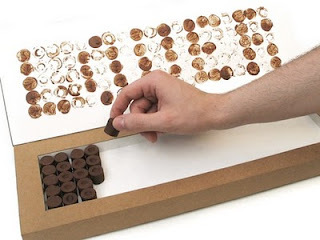 The chocolate pegs are arranged inside the box so that when the top is closed, they print a word or customized message inside the top. The chocolate is especially formulated with a low melting point in order to enable the printing to take place. 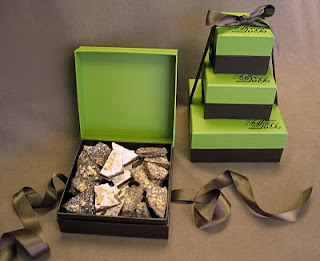 Although still in the concept phase, wouldn’t it be nice to surprise someone with a box of these next Valentine’s? It does bring new meaning to the phrase ‘say it with chocolate’. Via designmilk. 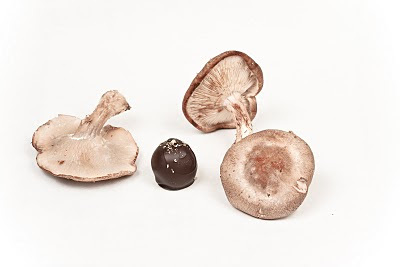 Someone in the Chocolate Nerd camp ate my shiitake mushroom truffle...I believe the culprit is 11 years old and was caught red handed with a mouth full of truffle and a scowl when he exclaimed "Yuck! What kind of chocolate is this!? Gail Ambrosius' Adventurous Collection is not for everyone. I was looking forward to experiencing the earthy 65% Peruvian chocolate and the chewy bits of dried shiitake first hand, le sigh. I spent a minute or two savoring what was left in the box: Lemongrass with Ginger, Cinnamon/Cayenne and Sweet Curry with Saffron which I quite enjoyed. The rich, 55% Hawaiian chocolate ganache is intensely flavored with sweet curry, coconut bits and an unexpected touch of saffron. It was a taste experience rich with dazzling, sophisticated flavor for the grownup palate. Not for Noobs as the little Chocolate Nerd would say. "Awesomeness" is the word an 11 year old chocolate nerd used to describe the taste of Qbel's selection of all natural chocolate treats created by a husband and wife team with the kiddies in mind. The entire selection from the Belgian milk chocolate crispy rice bars made in the Netherlands to the crunchy, crispy peanut butter wafer rolls taste pretty good. Best of all, you can pack your kids lunch with a treat they'll enjoy sans artificial anything. As a new mom, I can totally dig that.